DAY ONE & TWO Sossusvlei – You are met at Windhoek Airport and transferred by air charter to Kulala Desert Lodge for 2 nights full board, scheduled activities and local brand beverages. Kulala Desert Lodge is located within the arid Namib Desert on the 37 000-hectare private Kulala Wilderness Reserve, and is closest to the iconic dunes of the Sossusvlei. 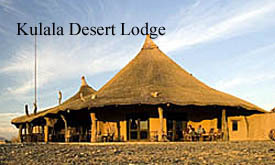 Accommodation at Kulala Desert Lodge comprises 19 thatched and canvas “kulalas” (“to sleep” in Oshiwambo) with en-suite bathrooms and verandas. Each unit is built on a wooden platform to catch the cooling breezes and has a deck on the flat rooftop where bedrolls are placed for guests to sleep under the myriad stars that Namibia’s clear skies portray. Kulala Desert Lodge has a main area with décor inspired by northern Africa, as well as a lounge, bar, dining area, plunge pool, and wrap-around veranda overlooking the waterhole – a perfect location to view and photograph the desert vista. The overall setting is a true delight to the senses, bringing together the rhythm of Namibia, wholesome meals and intimacy. A waterhole in front of camp attracts a number of local wildlife (such as gemsbok, springbok, ostrich and jackal) and provides a perfect location to view and photograph the desert scenery. Activities at Kulala Desert Lodge revolve around early morning guided nature drives to the spectacular dunes of Sossusvlei through the private gate on the Tsauchab River. World-famous Sossusvlei is an enormous clay pan, flanked by the famous sand dunes that stand out starkly against the blue sky and flush red in the early morning sun. 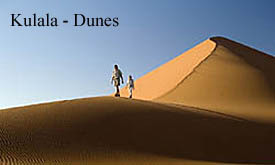 These dunes have developed over millions of years, the wind continuously transforming the contours of this red sand sea. The ‘vlei’ itself only fills after rare, heavy rainfalls when, in a complete turn-around, it becomes a spectacular turquoise lake. 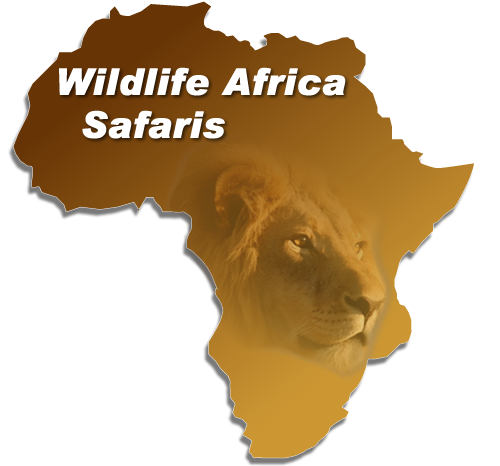 Nature drives and walks are also offered through the private Kulala Wilderness Reserve to take in those incredible views and to catch a glimpse of the denizens of the desert. Another option, at an extra cost, is early morning ballooning, beginning at first light. The balloon safari offers a truly unique experience to soar silently above the magnificent sand dunes and desert, with a champagne breakfast being served at your landing site. Finally, camel rides are offered, where guests can enjoy a leisurely walk on ‘ships of the desert’ through the Reserve and learn about their adaptation to desert environments. 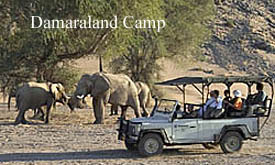 DAY THREE & FOUR Damaraland- After morning activity and breakfast, you are transferred by air charter to Damaraland Camp for 2 nights full board, scheduled activities and local brand beverages. 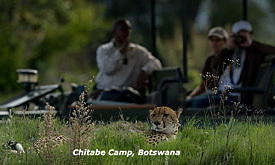 DAY FIVE & SIX Etosha National Park- After morning activity and breakfast, you are transferred by air charter to Ongava Lodge for 2 nights full board, scheduled activities and local brand beverages. 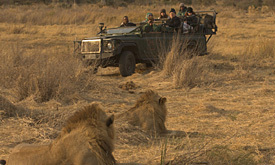 Etosha National Park is Namibia’s premier wildlife destination and one of Africa’s largest game reserves. 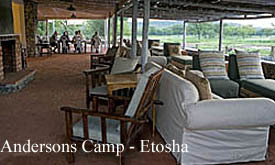 Large herds of wildlife teem around the waterholes and the endless plains offer breathtaking vistas. 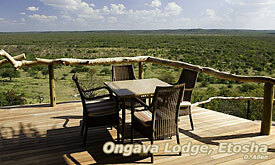 The Ongava Game Reserve shares a boundary with the Etosha National Park. Activities at Ongava Lodge revolve around day and night wildlife-viewing drives, visiting hides that overlook waterholes and walks with experienced guides. A hide at the camp waterhole provides superb photographic opportunities. 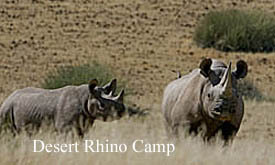 The Ongava Game Reserve features all the characteristic wildlife of the area, with both desert-adapted black and white rhino to be seen as well as lion. Game drives and daytrips into the easily accessible Okaukuejo area of Etosha National Park are rewarding, with sightings of lion, elephant, gemsbok, springbok, red hartebeest, and white and black rhino. Guests at Ongava Lodge share a dedicated guide and Land Rover, ensuring the best possible nature experience at one of Africa’s great wildlife destinations. DAY EIGHT & NINE – Transfer to Windhoek Airport for your direct flight to Maun. 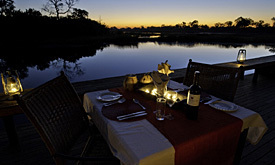 You are met at Maun Airport and transferred .You are met at Maun Airport and transferred by air to Jacana Camp.